HomeCandy & Snacks Skittles Original Flavor 36 Ct.
Each round piece is filled with chewy candy surrounded by a smooth candy shell. Fun colors and big fruit flavor makes Skittles bite size candies a treat for all ages. Our original Skittles theater boxes bring you everything you love about this popular candy in convenient individual packages. Our theater box candies are an excellent choice for events and activities. Bring them along to share with a group or keep some at home so you can grab a box when your favorite TV show comes on. Our bulk Skittles boxes are ready to turn any event into a sweet celebration. 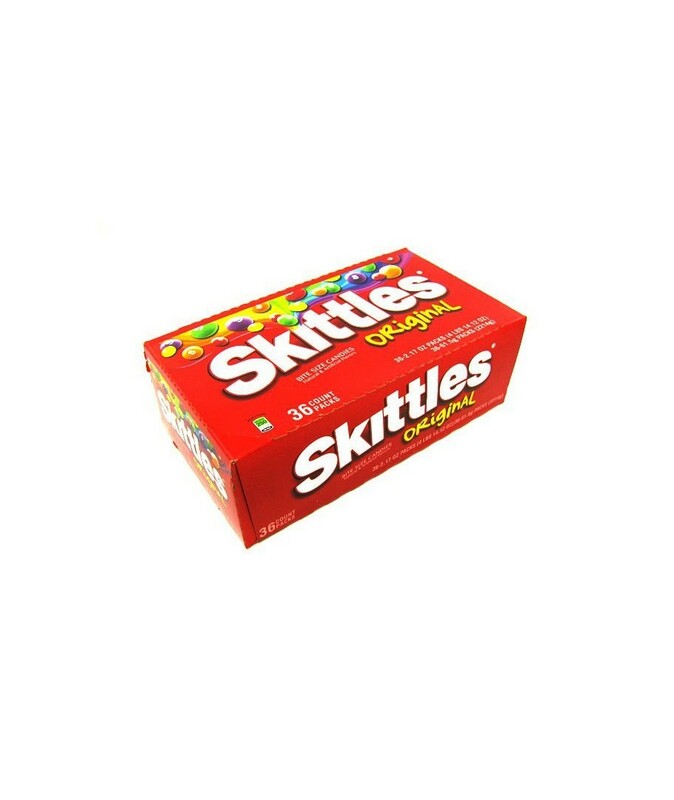 you can buy SKITTLES 36 CT ORIGINAL in bulk at a wholesale price at Volt Candy Online. 1 review for Skittles Original Flavor 36 Ct.
lovely candy for that family treat.